The quad stroller of the next generation has arrived. 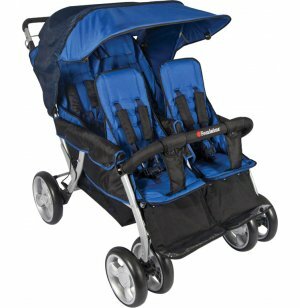 With enhanced weight capacity and a host of safety features, the Quad LX from Foundations is an invaluable child stroller for any childcare center. The Quad LX features an extra large seating area with generous headroom and an adjustable 5-point harness that accommodates children up to 50 pounds — far above the average. 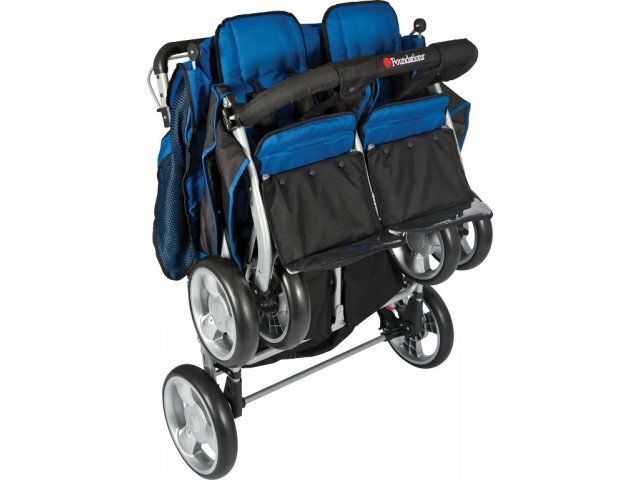 The extra heavy-duty steel frame is extremely strong and offers unmatched support, with oversized rubberized foam wheels for top maneuverability. The exclusive SafeBrake system engages automatically when the caregiver leaves the stroller, and the unique ComfortPush handle releases the brake as soon as it's pushed forward. A separate manual parking brake provides added security, while the extra-large canopy protects children from UV rays. With extra-durable, easy-clean fabrics and a choice of colors, the Quad LX is a quad stroller your daycare center — and its children — will enjoy for years to come. Large Weight Capacity: The Quad LX can support four children with a weight of up to 50 lbs. 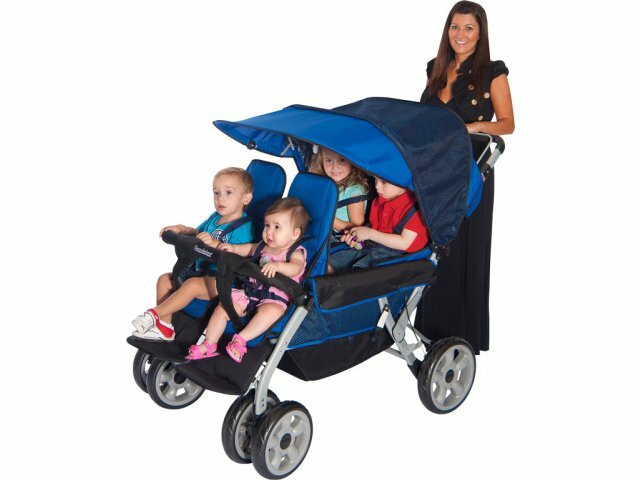 each, far above the average quad stroller. 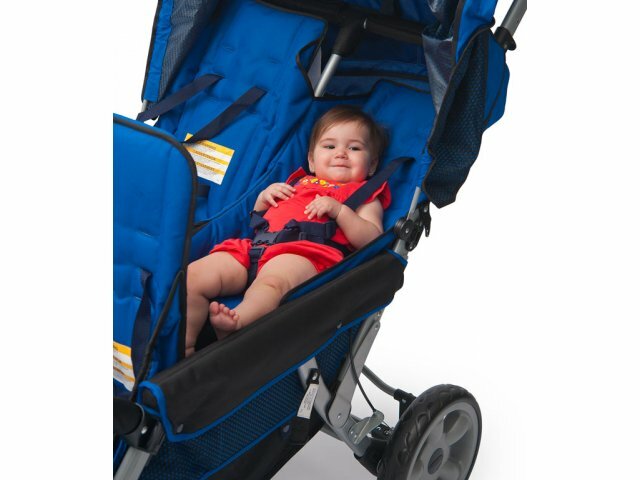 Enhanced Safety: Five-point harness prevents children from squirming out of the stroller. Oversized Wheels: Largest wheels in the industry provide the ultimate in maneuverability. 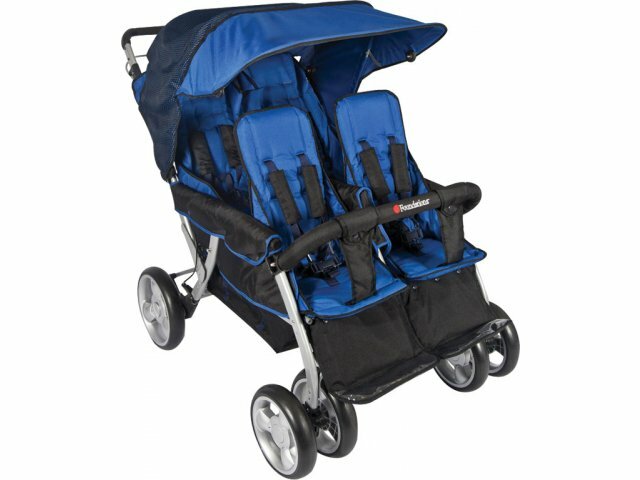 Super-Durable: Extra heavy-duty steel frame and wear-resistant, shoeless braking system make this quad stroller extra durable even with constant, daily use. Secure Brakes: Exclusive SafeBrake system engages and releases when the caregiver lets go of and resumes pushing the stroller. No Hand Fatigue: Unique ComfortPush handle eliminates hand fatigue for caregivers. 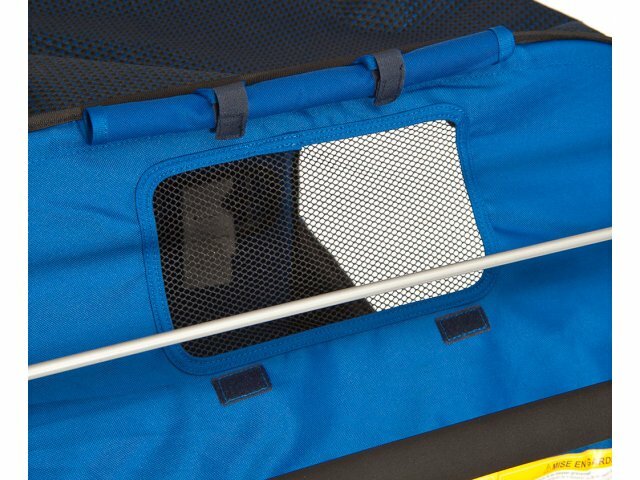 Solar Protection: Extra-large canopy shields children from dangerous UV rays and protects against sunburn. 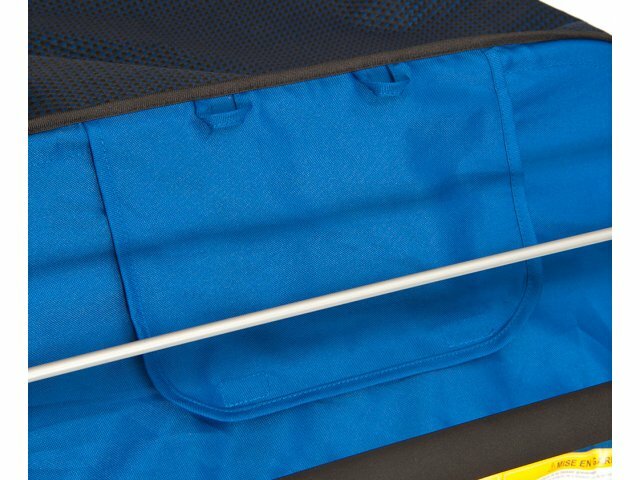 Low-Maintenance: Fabric is super-strong and very easy to clean. 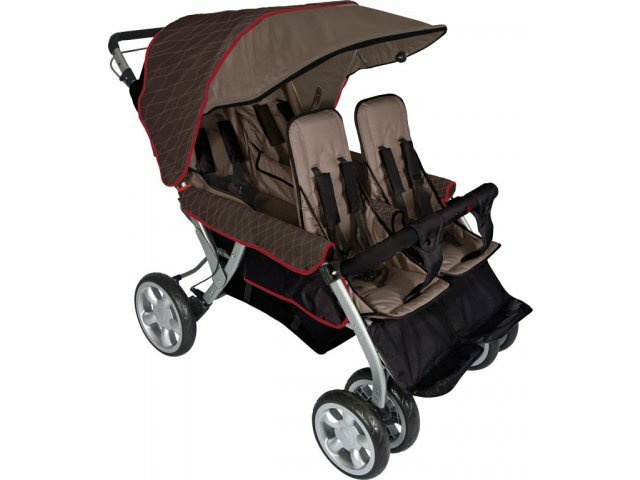 Easy-Fold: The Quad LX stroller folds down easily and in one piece, with no parts to set up and take apart.